To showcase some of the great indie writing out there, I want to do a occasional profile of writers who are producing impressive work via ebook. Kate Genet is an eclectic and prolific New Zealand novelist who is perhaps best known for her Silent Light/Shadows Fall series about a pair of lesbian paranormal sleuths, yet her latest taut, beautifully written story, Orange Moon, has universal appeal. As the story opens, Alice is a battered and numb young woman, worn down by routine physical and psychological abuse from her husband Richard, overwhelmed by stress, pain and fear. An encounter with a “crazy lady” on the bus on the way home from a shopping trip brings up dark memories for Alice. 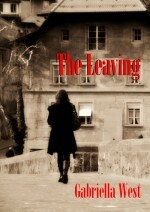 The fascinating thing about this novel is that it’s both the suspenseful story of a woman escaping an intimate abuser, and a woman coming to terms with her past memories of teenage sexuality, paranormal and violent events, some of which she may have been more responsible for than she thinks. Alice makes the fateful choice to “leave” her marriage but stay in her much-loved house, cleverly hidden from Richard (she assumes). This sets up an almost unbearable tension in the novel. While a final confrontation with Richard seems both ugly and inevitable, a healing and beautiful relationship also develops for Alice. But I found Orange Moon to be more to my taste than Remnant. Readers of paranormal books will love the ghostly element, the mystery. I personally found the scenes of domestic abuse far more creepy and compelling. I loved watching a woman coming to terms with her own strength. This book is a contemporary feminist classic that reminded me of long-forgotten books from the 1970s like Lois Gould’s A Sea Change. You won’t be able to put it down. Available on Smashwords and Kindle for $4.99. This entry was posted in Reviews and tagged ebook, feminist, indie authors, Kate Genet, lesbian, lois gould, Orange Moon, paranormal, physical abuse, psychological abuse. Bookmark the permalink. Sheesh, what’s a ‘feview’? Bother my butter fingers. Review. This is such a great review!